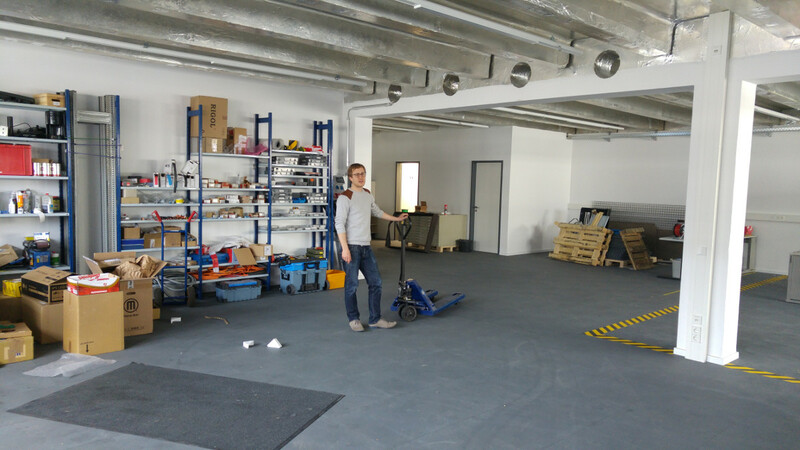 Sound success: With services covering electromobility and battery technology, the Munich startup LION Smart has developed from a TUM spin-off in 2008 into a successful market player. Last year, the company holding LION E-Mobility generated a surplus of just under 500,000 euros. How did it all happen? An exemplary lesson in five acts. Together with Daniel Quinger and Michael Geppert, fellow students at the Technical University of Munich, Mayer decided to launch a startup. Even more knowledge was brought on board with an additional fellow student and two economists. 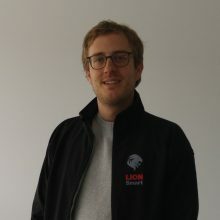 Using their own capital, the young founders were able to bring together 100,000 euros to establish LION Smart GmbH. Three investors contributed a total of 200,000 euros as well. The next milestone in the company’s history occurred when TÜV SÜD AG caught wind of the LION Smart test lab. 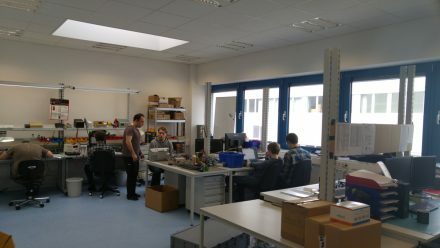 The large Munich company wanted to develop its own lab for testing batteries, but had been unable to find the right staff. A special line of training did not exist, and the market was new. TÜV SÜD wanted to buy the young company and hire the founders as their own employees. The founders were not easy to win over, however, since they had just started their entrepreneurial careers. They agreed to develop a joint venture: 70% share for senior partners, 30% for the startup. The company’s workshop at its Garching headquarters near Munich. LION Smart sold the existing test facilities to the newly developed TÜV SÜD Battery Testing GmbH. At this point, their own funds were no longer sufficient for further expansion. The economists in the founding team recommended going public. This was something they already had experience in. The company owners transferred their shares of LION Smart GmbH to the newly founded LION E-Mobility AG. The sold shares were floated on the stock exchange and are now owned by diverse shareholders. The shareholders had the proceeds from their sold shares paid out, which they then invested as a loan in both companies – LION Smart and TÜV SÜD Battery Testing. Spinning off battery testing into a joint venture meant that the original LION Smart business plan was also a thing of the past. The team has since been working on monetizing their collaborative expertise and own reputation. Three lines of business have resulted. First: consulting. Companies, government agencies and ministries depend on specialized e-mobility knowledge. LION Smart offers the preparation of expert reports. The second line of business: When building prototypes, even large-scale car manufacturers count on specialized external service providers. Their own departments often lack the innovation that young, small companies have to offer. LION Smart supports car manufacturers in development, prototyping and the path to series production. LION Smart is developing its own BMS in their lab. Special flooring and work areas eliminate damage caused by electrostatic discharge. Speaking of scaling: At the end of December last year, LION Smart moved to more modern, spacious facilities. New business fields are also in sight for the future. The German Renewable Energy Act is about to end, which means that people who installed solar cells on their rooftops will not necessarily be able to continue to feed the generated electricity into the grid. Intermediate storage in large batteries just might be the future. It seems the company’s plans for taking the lion’s share in many possible market niches will continue.